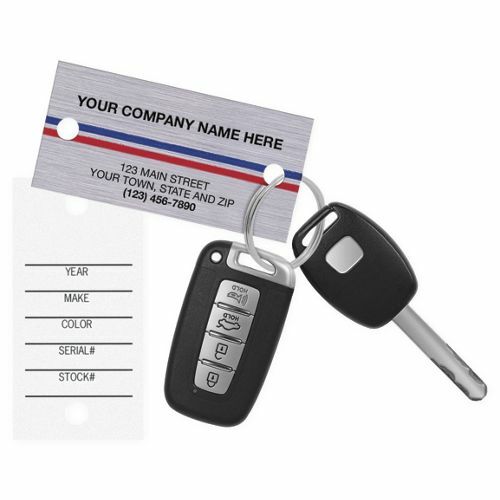 Auto Key Tags, Brushed Chrome 1158 At Print EZ. Auto Key Tags, Brushed Chrome Item No. 1158 Size: 1 1/2" x 2 1/4"
Key mix ups in auto repair stores not only waste a lot of time, but they also send out a negative signal to the customer who presumes that mismanagement is common in your garage. Change all of this with our new brushed chrome auto key tags. 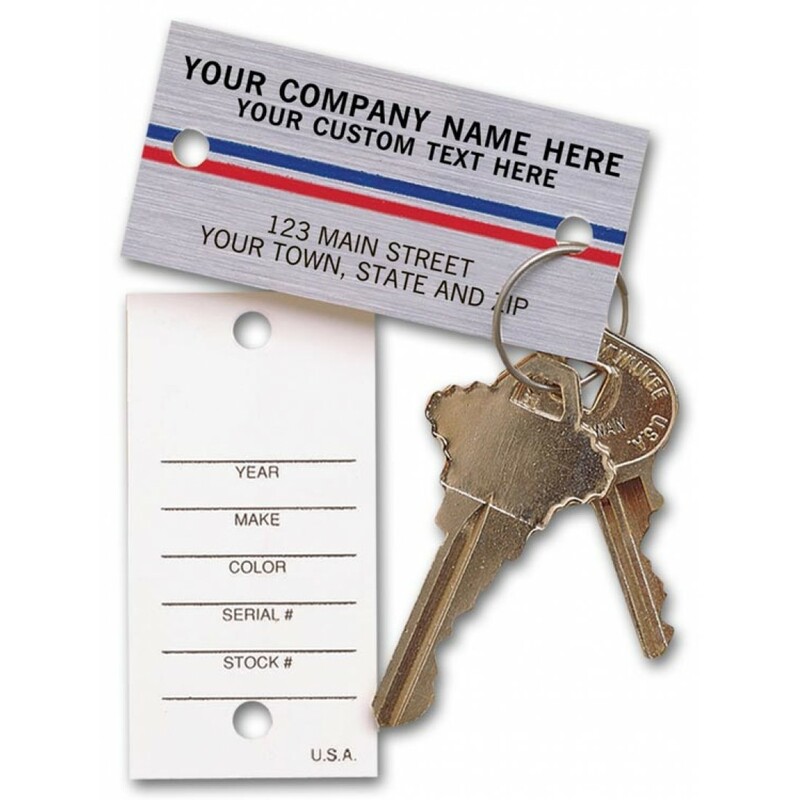 Adopting a classy design, these tags help to maintain that professional look all the while ensuring that the right keys are handed over to the right customer. Be it the make of the car, its color or even stocks and serial number, you can list it all at the back of the tag, so as to eliminate chances of any kind of mix up. Impress the client and avoid confusions with these classy tags. The pricing was half of most of the other sites for the same product. Great product. Cheaper than other competitors. Order was exactly what I wanted. These key tags were easy to order and had a fairly quick delivery from the time I ordered. Great product! Fast and efficient transaction. Very happy. We are very satisfied with these tags. Easy to order. The price was great. The delivery time was great. QUICK, FAST, AND THE PRICE Are MUCH BETTER THAN DELUXE. I WILL BE USING PRINT EZ AGAIN. Excellent! much faster than your competitor.